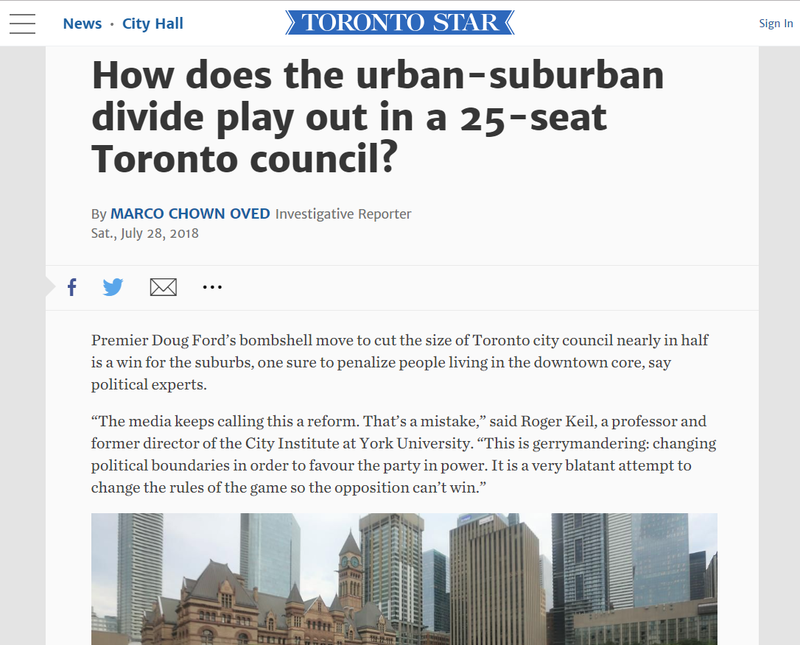 July 28, 2019 – Toronto Star: How does the urban-suburban divide play out in a 25-seat Toronto council? The Toronto Star is Canada’s largest daily newspaper. Ev Delen was interviewed about to his analysis of the political consequences of reducing the number of wards on Toronto council.